Dr John Fong, CEO and Head of Campus (Singapore) - SP Jain School of Global Management, had the pleasure and honour to speak at the NTUC U Future Leaders Summit 2018 on 4th October 2018 at The Star Vista Performing Arts Centre in Singapore. 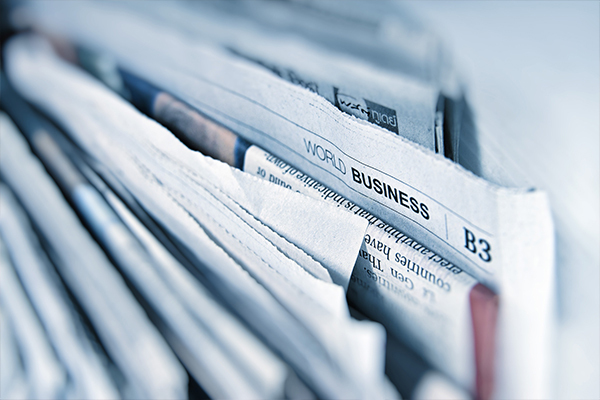 Organised by the National Trades Union Congress (NTUC), a national confederation of trade unions in Singapore with more than one million members, this flagship event saw 1,500 attendees including senior leaders from Bosch Group, PayPal and Hepmil Media Group. 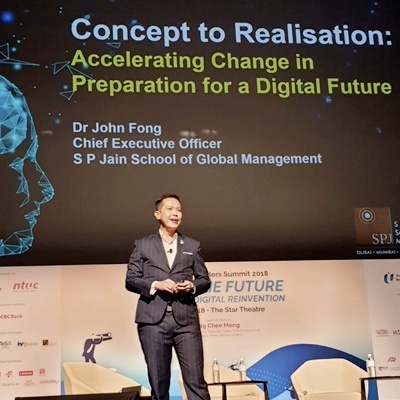 Dr Fong’s keynote presentation on ‘Concept to Realisation: Accelerating Change in Preparation for a Digital Future’ focused on the critical skills for today’s economy and how SP Jain is developing these skills in our students. Sharing more on how SP Jain plans to stay ahead of the curve, Dr Fong presented the innovative learning experiences we are looking forward to in class such as the new tablets in classrooms. With features such as real-time feedback, note-taking, recording and polling, among others, the app allows for a more engaging class.